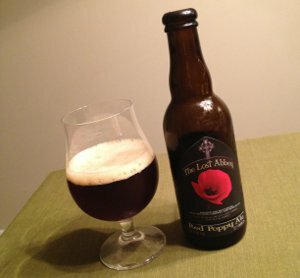 Beer Nerd Details: 6.8% ABV bottled (12 oz.) Drank out of a tulip on 10/5/12. The full name of this beer is actually Weyerbacher Whiskey Barrel Aged Ale Aged in Whiskey Barrels. Believe it or not, there's a good reason for this seeming redundancy, though it requires some explanation. First, this beer is part of Weyerbacher's Brewers' Select series - a progression of "one-off and experimental brews to encourage creativity and collaboration between all of our brewers." This is sorta reminiscent of Tröegs' Scratch Series, the idea being that Weyerbacher gets to play around with tiny pilot batches using new techniques and strange ingredients in the hopes that the process will lead to new year-round offerings or improvements to same. A new brew is made every few months, then released at the brewery itself with the occasional keg being sent out to local bars. Each beer in the series is named to follow the NATO phonetic alphabet (Alpha, Bravo, Charlie, etc...), and this 23rd installment was naturally going to be Whiskey. 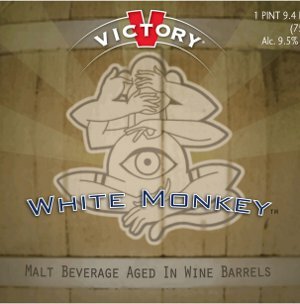 Apparently getting beer labels approved by the feds is a tricky proposition even in the best of times, and in this case, naming a beer after another alcoholic beverage added an extra wrinkle. But it turns out that the law allows for a "fanciful name" as long as you include a "Statement of Process" or some such thing. 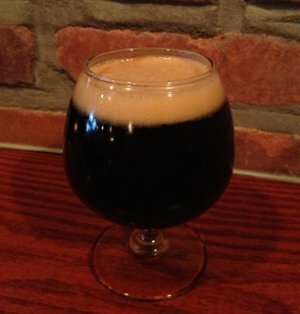 Thus we end up with a name "Whiskey Barrel Aged" with a statement of process "Ale Aged in Whiskey Barrels", all of which indicates that this is, in fact, beer, not whiskey. Or something. Did I say there was a "good" reason for this? Yeah, that's not really true, I guess, but none of this buffoonery should be attributed to Weyerbacher. Beer Nerd Details: 9% ABV on tap. Drank out of a snifter on 10/5/12. 27 IBU. I'm usually very happy to try one-off brews, but I'm rarely sad that I don't get to drink more. This is among the few, the proud, the ones I want to see again. Weyerbacher hasn't technically ruled that out, but it still seems unlikely. In any case, I'm definitely going to be on the lookout for X-Ray (and, for that matter, Yankee and Zulu). No idea what Weyerbacher plans to do once they reach the end of the alphabet. NATO digits are kinda boring, except for niner, but you could also go with some of the British or U.S. phonetic alphabets (lots of overlap with Nato, but some cool stuff there too). 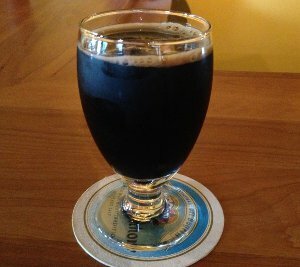 Well I just posted about Victory's Red Thunder, where they age their Baltic porter in red wine barrels, but it appears that Victory isn't stopping there. 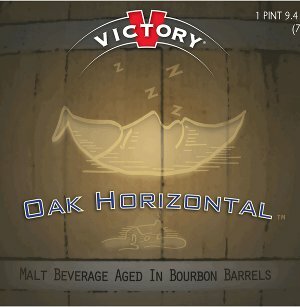 Though there's no press releases about these additional barrel aging projects, their labels have been showing up on BeerPulse, which means that something is going on. Update 12/23/12: Both Red Thunder and Oak Horizontal have been released and reviewed... Cheers! Beer Nerd Details: 5% ABV bottled (375 ml, caged and corked). Drank out of a tulip glass on 9/30/12. Vintage 2012 C (I think that's what the label sez, it's a little smudged). 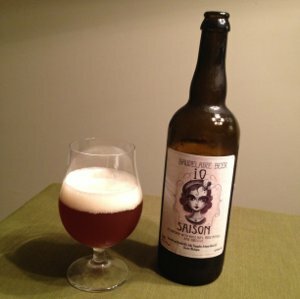 I actually had this at a beer club outing last year, and I loved it so much that I went out and bought a bottle. 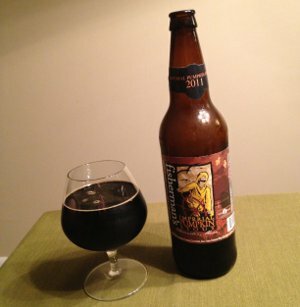 It was a big, rich imperial stout mixed with typical pumpkin pie flavors, but very well balanced. Or was it? This was a beer that really shined in the beer club setting, where I was only trying a few ounces, if that. And as pumpkin beers go, this was the first time I'd had a pumpkin stout, a combination of flavors that was surprisingly good. But maybe I've fallen prey to a classic market research problem. Fair warning, serious nerdery ahoy. Feel free to skip to the review below. Remember the embarrassment that was New Coke? Longtime readers know I'm a huge fan of Coke and I really freakin hate Pepsi. Why did Coke reformulate their time-honored, classic formula? Well, Coke had been losing ground to Pepsi, and then this classic ad campaign came out: The Pepsi Challenge. Basically, Pepsi went out and asked a bunch of loyal Coke drinkers to take a sip from two glasses and pick which one was better. The participants preferred Pepsi by a rather large margin. Coke disputed the results until they started running their own internal sip tests... and got pretty much the same results. So they started fiddling with their fabled formula, making it sweeter and lighter (i.e. more like Pepsi). Eventually, they settled on a formula that consistently outperformed Pepsi in the challenge, and thus New Coke was born. The difficulty with interpreting the Pepsi Challenge findings begins with the fact that they were based on what the industry calls a sip test or a CLT (central location test). Tasters don't drink the entire can. They take a sip from a cup of each of the brands being tested and then make their choice. Now suppose I were to ask you to test a soft drink a little differently. What if you were to take a case of the drink home and tell me what you think after a few weeks? Would that change your opinion? It turns out it would. Carol Dollard, who worked for Pepsi for many years in new-product development, says, "I've seen many times when the CLT will give you one result and the home-use test will give you the exact opposite. For example, in a CLT, consumers might taste three or four different products in a row, taking a sip or a couple sips of each. A sip is very different from sitting and drinking a whole beverage on your own. Sometimes a sip tastes good and a whole bottle doesn't. That's why home-use tests give you the best information. The user isn't in an artificial setting. They are at home, sitting in front of the TV, and the way they feel in that situation is the most reflective of how they will behave when the product hits the market." Dollard says, for instance, that one of the biases in a sip test is toward sweetness: "If you only test in a sip test, consumers will like the sweeter product. But when they have to drink a whole bottle or can, that sweetness can get really overpowering or cloying." Pepsi is sweeter than Coke, so right away it had a big advantage in a sip test. Pepsi is also characterized by a citrusy flavor burst, unlike the more raisiny-vanilla taste of Coke. But that burst tends to dissipate over the course of an entire can, and that is another reason Coke suffered by comparison. Pepsi, in short, is a drink built to shine in a sip test. Does this mean that the Pepsi Challenge was a fraud? Not at all. It just means that we have two different reactions to colas. We have one reaction after taking a sip, and we have another reaction after drinking a whole can. The parallel here is obvious. Drinking a small dose of a beer in the context of beer club (where I'm sampling a whole bunch of beers) can lead to some distortion in ratings. I usually mention this bias in my beer club posts, but despite my usual snark when bringing it up, I do think those ratings are a bit suspect. 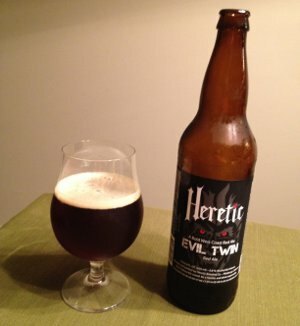 Beer Nerd Details: 11% ABV bottled (22 oz. bomber). Drank out of a snifter on 9/29/12. 2011 vintage. Beer Nerd Details: 6.8% ABV bottled (750 ml capped). Drank out of a tulip glass on 9/28/12. Batch 1019. Bottled 02-23-2012. After my trip to the homebrew shop last week, I popped down the road to one of my favorite little beer bars in the burbs, Station Taproom. It's a small place, but they've usually got some good stuff on tap, and what to my wondering eyes did appear? Bourbon County Brand Stout, we meet at last. I don't get the impression that this is a super rare beer, but Goose Island only started distributing out here a year or so ago (I think) and I've never actually seen a bottle of this around. Beer Nerd Details: 14.5% ABV on tap. Drank out of a goblet on 9/27/12. I'd love to get my hands on some bottles of these, as it's certainly one of the better big barrel aged stouts I've had. I can't say as though I'm going to run out and try other Goose Island beers, but I'll definitely be seeking out anything from the Bourbon County Brand series. Again, nothing super complex here. Trappists apparently don't use quite as much in the way of specialty grains, but the ones I'm using are not uncommon (especially the Special B, which is a key component for a lot of commercial beers). I get the impression that they use more sugar as well, though they're careful about additions and temperature control, something I have little control over. But for the most part, this seems like a solid, middle of the road recipe. With 15 minutes remaining, I add the flavor hops and Irish moss. 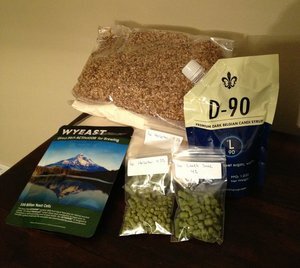 I had originally planned a full 1 ounce addition of Hallertauer here, but I had repurposed some of that for bittering, and from what I can tell, a lot of recipes eschew flavor hop additions entirely, so this should be fine. With 5 minutes remaining, I hadd the Saaz aroma hops. When finished, I plop the pot in my little ice bath, and wait for the temperature to get down to the 80°-90° range. Strained the wort into the bucket, and topped off with about 2 gallons of cold water (bringing the temperature down to a more appropriate 70° or so). For the yeast, I went with Wyeast 3787 Trappist High Gravity Yeast (packaged 8/28/12), which is apparently derived from the Westmalle strain (and since they make some of my favorite Trappist beers, I think that'll work for me). This yeast also has a high attenuation range and is apparently more tolerant of higher temperatures (ideal range 64°-78°). Since it's fall, temperatures are dropping, but the ambient temperature inside my house is still around 70°-75°, so I wanted to make sure the yeast would tolerate that. I've managed to keep the ambient temperature on the lower end of that range for the start, so here's to hoping things go well. Original Gravity: 1.079 (around 19°Bx). Yeah, so this came in a little higher than I was going for (which was 1.076), but I don't think it's a major cause for concern. The target ABV is now around 7.6% (assuming around 75% attenuation), though that could easily grow to be around 8% if I get more attenuation out of the yeast. My only real concern here is that I have enough bittering hops, though this is a malty style, so I think I should be fine. I plan to bottle in 3 weeks time (could probably go shorter, but I want to make sure the attenuation maxes out here, and my previous experience with Belgian yeast makes me want to make sure I don't bottle too early). I'm not sure what will be next in my brewing adventures. I've been thinking about some sort of highly hopped imperial red ale, but I'm also considering a big ol' American Barleywine (perhaps finally getting myself a secondary fermenter and doing some bourbon oak aging). I'm also out of the IPA I made last year, and I'm definitely going to make more of that stuff at some point. And I'm not sure what I want to do about a Christmas beer this year either. Should I replicate last year's recipe (which was perfect)? Or try something new? So many beers, so little time! Stay tuned. Beer Nerd Details: 8.5% ABV bottled (500 ml). Drank out of a goblet on 9/22/12. 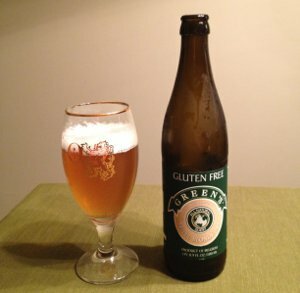 Label sez: "Best Before 05/01/17"
Yeah, so I can't say as though I'm going to run out to try more gluten-free beer. I'm just going to be thankful that I don't have a gluten problem. Let's just chalk this up as a loss in the great game of Belgian Beer Roulette. And such loses only make the wins that much sweeter.